The summer season always brings with it a host of changes, including possible moves. Families relocate, college students return home, and we all want to get outside and enjoy the warm weather. This summer you may find yourself in any number of situations when moving or storage may be on the agenda. Below are some tips on moving and storage options during the hot summer months. Choose climate-controlled storage for belongings that may be damaged by heat. Items to store in climate-controlled storage units may include wooden or leather furniture, musical instruments, collections of stamps, books, clothing, electronics, photos, and artwork. You may also want to include your boat, RV, or convertible because just like using a garage, climate-controlled storage limits the wear and tear of heat and sun on motorized vehicles. If you are moving, relocating special items to a climate-controlled storage unit temporarily may keep them safe during the hectic task of moving all your stuff to a new home. Climate-controlled storage is also a great option for college students that don’t want to haul all their belongings out of the dorms and back home only to turn around and move them back at the end of the summer. The climate-controlled environment will protect off season clothing, unused TVs or stereos, and even cooking and cleaning supplies. Move or store items during the cooler hours of the day to beat the heat for both you and your belongings. If you are scheduling movers, opt for a morning time. If you must move during the hottest hours of the day, be sure to drink plenty of water and take frequent breaks. Protect your belongings from the heat by transporting them in air-conditioned vehicles or covered trucks that at least provide sun protection. When you arrive at your new location, try to park in the shade so your things don’t become too hot to handle while you are busy getting things situated. Plan ahead for traffic and weather. As more people are on the road during the summer months, traffic jams are common. Also, weather delays could impact a summer move, so keep your eye on the forecast. Use weather alert apps to your advantage as well as traffic apps that may alert you to upcoming traffic delays. You may need to include extra time if you have scheduled movers if you know ahead that traffic could be an issue. If weather is a concern, and you are moving or storing water sensitive items, use tarps or plastic wrap to protect them if you must move them during a rainstorm. Choose moving dates wisely. 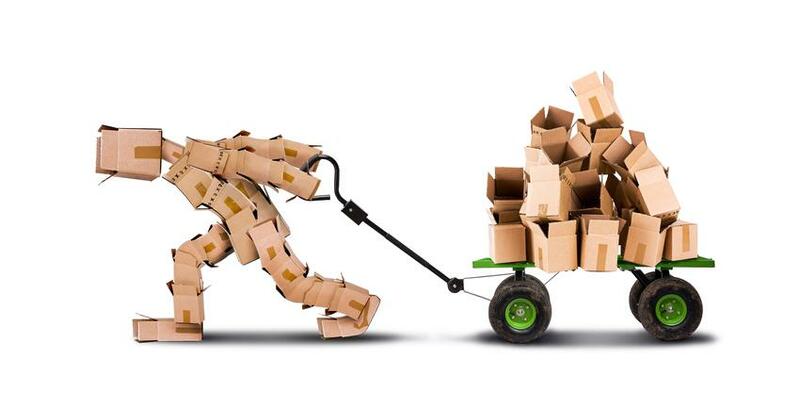 Whether you are moving your whole life, or just some items into temporary storage, moving during the middle of the month is the best time. The beginning and end of the month are the busiest times, so avoid those times if at all possible to avoid a possible wait for rental trucks or storage units. Finally, pack with care. Wrap delicate items in bubble wrap or several layers of newspaper. Secure boxes with packing tape. Even taping the handles of totes will help keep items securely in place in a moving vehicle. With these tips in mind, you can make summer moving and storage a breeze.